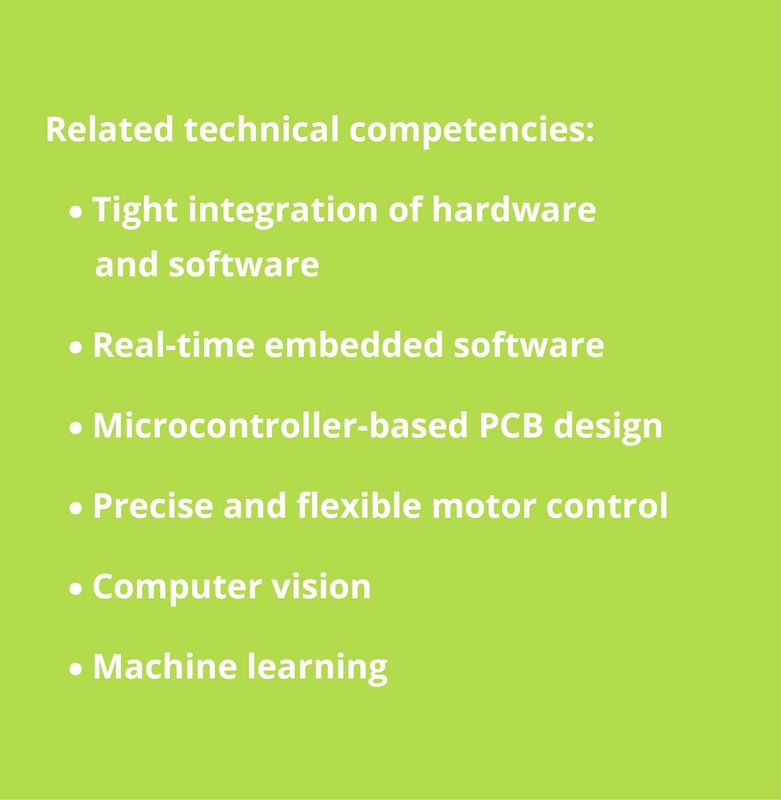 We are experts in the field of Mechatronics, working with you through the design process to deliver cutting-edge functionality for your products and services. This is achieved by the convergence of mechanical, electrical and control engineering. Working closely with clients, Robotae applies a wide range of skills to deliver sophisticated products with fast and precise responses to environmental changes. Identifying the requirements of the design, we provide cost-effective solutions, with skills including control algorithm development and machine vision. Robotae has developed a gonioreflectometer for Change of Paradigm Ltd, to characterise the reflective properties of fabric samples. This will enable photorealistic rendering of high end fashion for their 3D e-commerce platform.